It’s always nice to have a guest bedroom well organised for when you have friends over, or on the off chance you have an unexpected visitor. 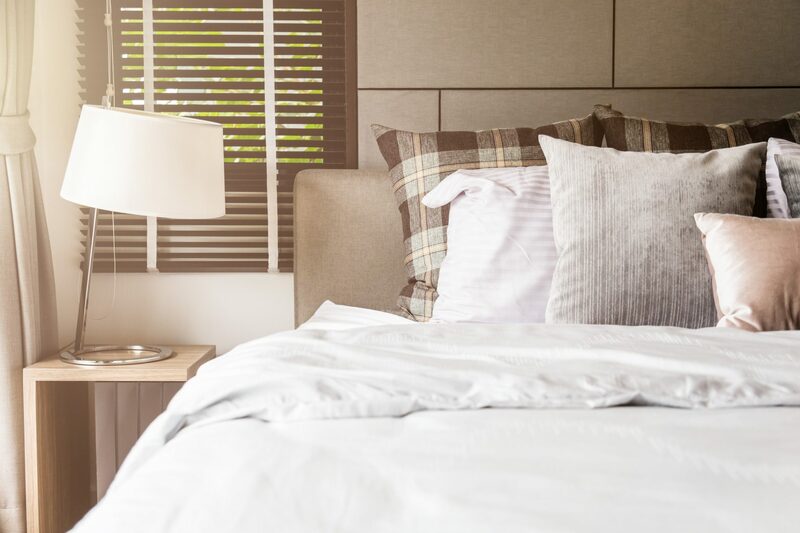 Unlike our own bedrooms, which we use every day, it can be hard to remember to accommodate for everything your guest might need or want in a bedroom. While we figure out what we need and want over time as we use our own bedrooms, it’s easy to forget obvious things that will make your guest’s stay more comfortable because of how rarely you enter that room. Here are some tips on things to remember to make sure your guest has the happiest, most comfortable stay in your home. Obviously, you can’t anticipate what each individual guest’s tastes may be, so it’s best to stick to a simple, tasteful colour and decorative scheme for your guest bedroom. Whites and blues are standard and effective colours for a guest bedroom, and will be conducive to a good night’s rest. Don’t clutter the room with novelties that will make the room seem strange to your guest, just make sure they have all the things to make them comfortable. Especially if your guest is staying for many nights, an empty closet where they can store their belongings out of sight will make them feel more at home. A desk and comfy chair will be greatly appreciated by your guest. Your guest may have some work that needs to get done, and having a peaceful place where they can work away from the everyday hustle and bustle of your home is a great idea. Keep a laminated note on the desk with the Wi-Fi password for them. Think also about including a reading chair and lamp as well, or a small television and DVD player. Especially if your guest is doing a lot of socialising, sometimes it’s nice for them to know there is a quiet place where they can wind down in private. It’s a good idea to keep the contact numbers for you and your family up, as well as emergency contact numbers (especially if they’re from a different state or country). A good stress saver if things go wrong. It goes without saying to make sure that the bedding in the guest bedroom is fresh and ready for them when they arrive. It’s also a good idea to provide additional fresh bedding, blankets, towels and such for them in the closet. People are often shy about asking for things they need or being a burden on their hosts – save them the trouble! Travel can also be stressful and your guest may have forgotten some essential toiletries. Keep a visible basket with toiletries (toothbrush, soap, toilet paper, toothpaste, etc.) for them. Ensure that the guest bedroom is well insulated and has the right balance of sunlight and shade. If it has a window that directly faces the sun, consider installing an awning outside. Stick to simple, easy-to-use window coverings like shutters or blinds that ensure the right amount of lighting and privacy, and can be easily adjusted by your guest. The team here at Modern Blinds are passionate about creating the most comfortable home for you, your family, and your friends. Stay up to date with the latest news and tips on window coverings and more on our blog, or contact us today!